Well our London trip was a big success; the gigs by Irene, Bricolage and Camera Obscura were pretty fab. Three bands at different, but exciting stages of their careers, for Irene it was their first gig in the UK. They whisked their way through a blistering set of power pop gems, they were so good that I was convinced they had only played for about 10 minutes, Orynthia assured me that they had played for much longer than that, but it was over far too fast for me. Bricolage are the being courted by a few labels at the moment and are trying to make sure that they make the right decision. Their gig was in the basement of a club in Shoreditch, the main focus of the evening for most of the crowd was the DJ stuff going on upstairs. They still managed to sound crisp and tuneful, when they eventually hit the stage at 1 AM, it would be good to see them in Bristol soon. 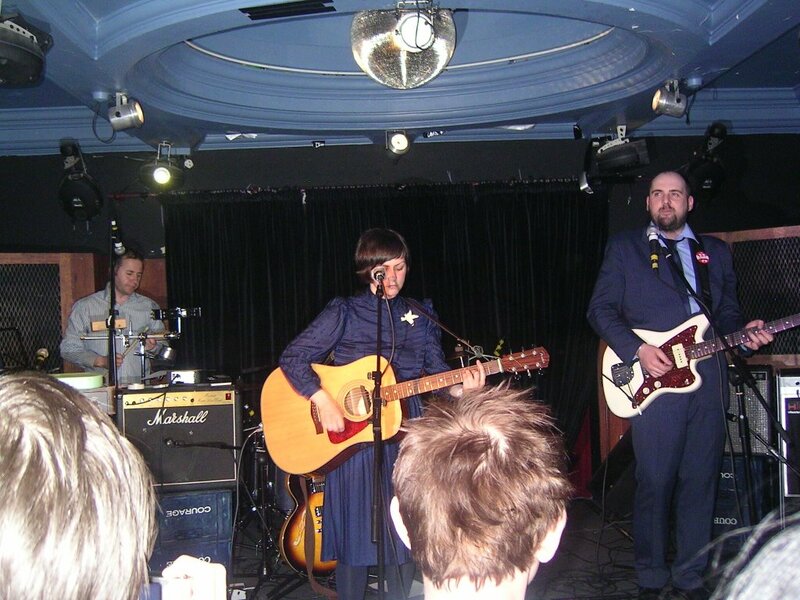 Sunday evening saw us heading to the other side of London, to see Camera Obscura playing in Kilburn. They played all of their soon to be released new album, including the brilliant new Single “Lloyd, I’m Ready to be Heartbroken” which was released this Monday. It may even be a hit, now that would be something. We also caught up with a couple of excellent exhibitions; firstly we went to the V&A for the big Modernism show. So many wonderful things here, loads of fantastic architectural stuff, being the highlight for me. On Saturday we went to the Tate Modern for the joint exhibition of the work of Josef Albers & Laszlo Moholy-Nagy. It was the perfect companion piece for the Modernism show. Lot’s of overlapping themes between the two shows, so many brilliant ideas. When we see exhibitions such as these which focus on work from the early to middle period of the 20th century, I always want to ask older people at the shows what their memories of the artists / designers are. Did they like the work at the time? Did their friends like it? Did it influence their life or have they only become aware of the stuff in later years? Of course being English, I never talk to strangers unless they speak to me first.